Rated 5 out of 5 by SylvanNun from One of the best MCFs! MCF has come a long way! I kept wanting to play this game until I was able to finish it - which took me more than 8 hours overall. The storyline is great and includes real actors that do a pretty good job. A couple of lol parts of the game include the awful wig that one character wears and the "good for nothing" guy sitting on his front porch with a shotgun and WILL fire at you if you get too close---but don't worry---you won't die. It's also fun that there is a twist in the game that I doubt most people would see coming which makes the game even more exciting. I also enjoy the fact that there are lots of challenging mini-games within the game. Some were pretty tough to figure out and if you're not a checkers whiz, you might want to brush up on your skills before you play the dude at the bar. Another lol and kind of annoying part is that during the checkers game there are repeated sounds of sneezing, burping, laughing, and some kind of grunting noise. Enjoy! I gare-own-tee you'll have fun playing this one! Rated 5 out of 5 by Lioness901 from I give this 13 points! The graphics in this is excellent it seems so lifelike. The humor had me laughing so hard. I love those sassy characters they are awesome. The difficulty is just right not too hard not too easy. The ending really surprised me I love a good mystery so while playing I was trying to solve it. I'm usually very good at solving mysteries but the solution to this really surprised me I never saw it coming. The perfect surprise ending I loved it. Rated 5 out of 5 by alphafem from HELLO?? *tapping monitor* ANYBODY OUT THERE?? I have played this game several times over the years, and this is my review...#224. I don't know if anybody ever looks at the "newest first" heading, but just in case, hiya!! I rarely play a game again, as once I know the ending the thrill is kind of gone for me, but there are a handful that I go back to, from time to time, as they stand out in my memory. This is one of those. Fun Factor, Visual/Sound, and Storyline...all very good. The HOP's were well drawn and clever. Fit in well. Not boring. The mini-games were excellent throughout. I rarely use a hint/skip button, and had to suffer through loosing a half dozen games of checkers before I found the three layer hints and/or skip. Oh so glad I did!! I skipped. Your objectives/tasks are listed for you, which you need to complete...otherwise your inventory would become so large as to be unmanageable. Accomplish and proceed. Also, you must stay alert and take note of each scene carefully. Example: Some folks, in reviews, seem to have had trouble with the toilet. The bartender has just told you that Lamont fixes the toilets. YOU'VE tried and can't figure it out, but you have seen the payphone, office with employee phone numbers, and you have a quarter in your inventory. Um, what would be your guess as to what to do?? Bingo! The map is not teleporting, but useful to get your bearings. It is integral toward the end of the game. It is probably best if Beginners hold off on this game, but definitely remember it for later on down the road. Try before you buy. I hope you enjoy it! Happy gaming! Rated 5 out of 5 by CajunJuJu30 from Awesome game Wonderful spooky game. The live characters were awesome some were a little off but great storyline and great scenes. Rated 5 out of 5 by NightHawk007 from Loved Just About Everything About it! This is probably my 15th Hidden Object Game on Big Fish but my first review. 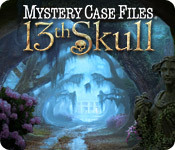 Some games I enjoyed to various degrees but I will say 13th Skull was my favorite of all. I know some players are saying it was too difficult but I got great satisfaction from figuring out the puzzles. I did have to have help on the canons but since the code to lift them varies with each game, it wasn't the answers I sought but HOW to find the answer. So I did figure the code out myself. I noticed the second time I played some of the puzzles (The final skull pattern, the fountain, the canons etc.) changed so they had to be solved all over again. I really liked the vignettes, I think Vinton trying to "bag a Hunnie" was my fav. It was an around fun game that I enjoyed so much I replayed it. 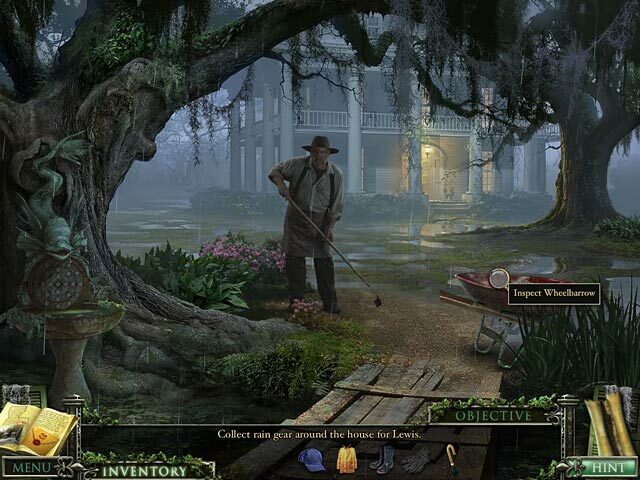 Rated 5 out of 5 by paramiti from PERFECT CREEPY ADVENTURE GAME LOUISIANA IS JUST CREEPY We all know it We all feel it on some level when we visit the state It has a Rich Romantic as well as CREEPY History I doubt any Adventurer Gamer could pass this one up Purchased the game in 2011 Didnt get around to actually playing it myself Until a few years later Played it LOVED IT As an Old School Adventure Gamer I rate this Casual Game as Wonderful As any top rated Adventure Game Loved It So Much I turned around and purchased the CE After playing the SE DONT HESITATE BUY IT Treat Yourself to the CE Instead of this SE ITS TOTALLY WORTH IT!! Rated 5 out of 5 by davidprince from One of the best! 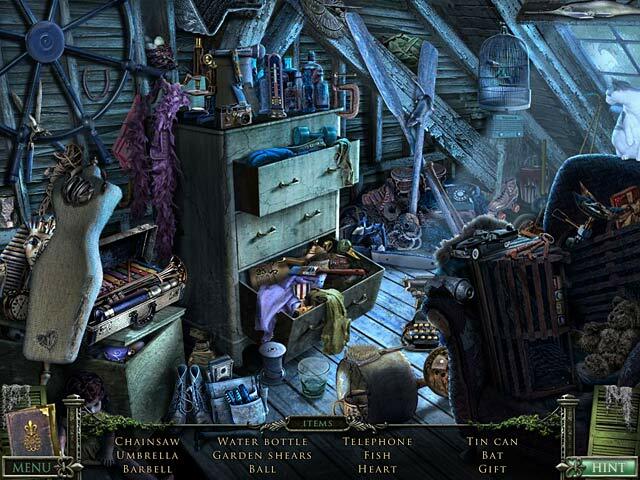 This has been one of the most enjoyable hidden object games that I have played so far. The real character interaction is excellent. The art and realistic scenes are enjoyable. The puzzles are complex and enticing. I will try to find more games of this magnitude to play. Rated 5 out of 5 by sam1am07 from Very Clever! I really liked this clever game but I don't think there should have been HO scenes. Any objects obtained from the HO scenes we could have found along the way. It was more of an Adventure game in my opinion so anyone expecting a run of the mill HOG would surely get disappointed. 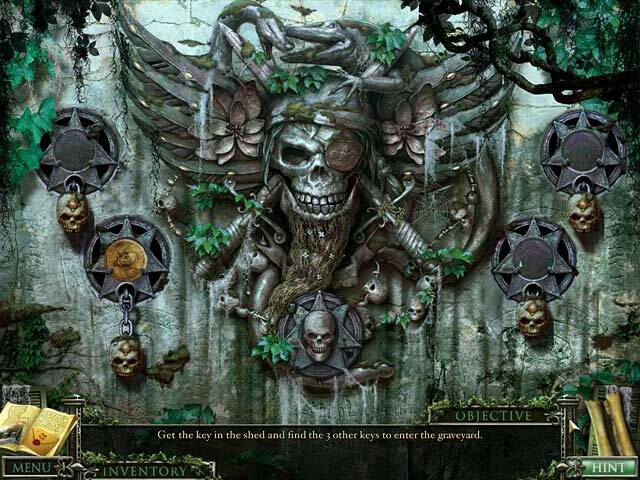 Rated 5 out of 5 by Anzad420 from Best Game Ever Mystery Case Files' best game by far! Everything from the storyline to the graphics to the interaction with the characters is truly exceptional. Make sure you buy the Collector's Edition ... well worth it in this case.